Over the years, the Syrians made no effort to hide their support of this transshipment system, the key component of which is the Damascus International Airport. From the airport it is a short drive (30 minutes) to the Lebanese border and the Biqa’ Valley. For years, Iranian Air Force 747 cargo aircraft routinely delivered arms and supplies to Hizballah and the Palestinian groups Hamas and Islamic Jihad at the airport – and still do. They did not try to hide it on the military side of the airport – this was done on the civilian side in plain view. I was the air attaché at the American embassy in Damascus – often while at the airport, I observed this activity. 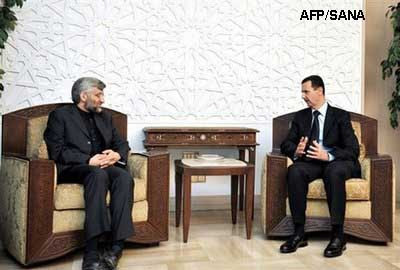 Hours before the start of the Israeli ground incursion into the Gaza Strip, the secretary of the Iranian Supreme National Security Council, Said Jalili, flew to Damascus to meet with Syrian President Bashar al-Asad. Jalili also met with exiled Hamas political chief Khalid Mish'al and Palestinian Islamic Jihad leader Ramadan 'Abdullah Shalah - both are based in the Syrian capital. This trip by one of Iran's senior national security officials comes as no surprise. 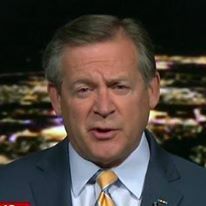 Both al-Asad and Jalili are extremely concerned about events in Gaza since their countries are the principal supporters of Hamas and Islamic Jihad - the two fundamentalist Islamic groups responsible for the rocket attacks that sparked the current Israeli military operation. Almost all of Hamas's and Islamic Jihad's funding, weapons and training originates in Iran and is funneled via Syria into the Gaza Strip. Case in point. Over the last few weeks, Hamas launcher teams have fired rockets 40 kilometers (24 miles) into southern Israel, striking targets as far as Ashdod and Beersheba. These rockets are Katyusha "Grad" rockets, which the Palestinians must receive from outside Gaza. These are a far cry from the inaccurate homemade al-Qassam rockets that only travel about five miles and have been fired daily at the Israeli border town of Sderot. Where does Hamas get the weapons, money and training support it needs to mount these attacks? Simple - Iran. Some history is in order here. In 1982, elements of the Islamic Revolutionary Guard Corps (IRGC) were dispatched to Lebanon to provide support to Hizballah (actually they helped created the organization). The IRGC contingent provided the necessary ingredients for successful insurgent/guerrilla operations – money, weapons and training. Their operations soon expanded south to the various Palestinian groups – including the Popular Front for the Liberation of Palestine – General Command (PFLP-GC), several factions of the Palestinian Islamic Jihad (PIJ) and of course, HAMAS. By 1992, Iran was the primary sponsor of these groups. How do money, weapons and training get from Iran to the Palestinians living in the Gaza Strip? There are several routes, but the hub of the transshipment system is Syria, a close ally of Iran going back decades – Syria was the only Arab state to back (and provide support to) Iran during the eight-year Iran-Iraq war (1980-1988). Syria and Iran recently renewed their formal defense cooperation agreement. The weapons end up being smuggled into Gaza via Egypt.